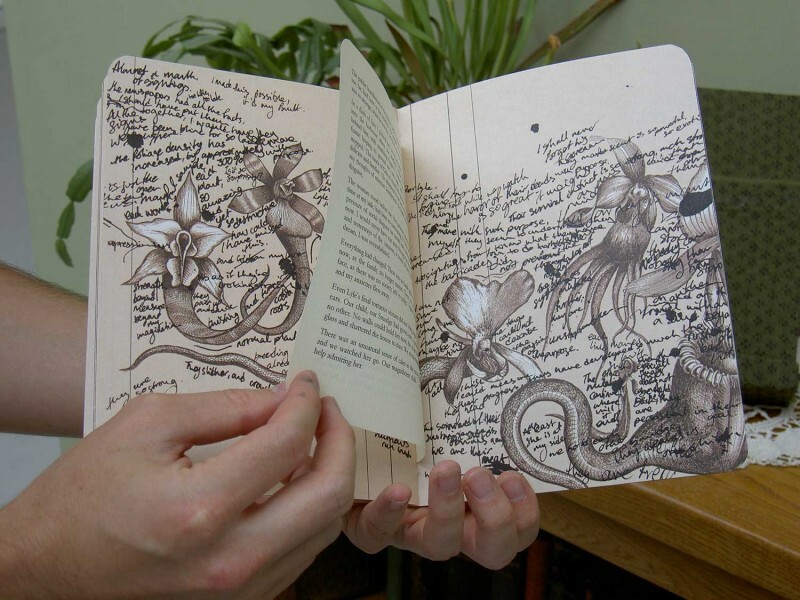 Heidi Ball is a Cornwall-based illustrator and an alumna of the MA in Illustration: Authorial Practice at Falmouth University. 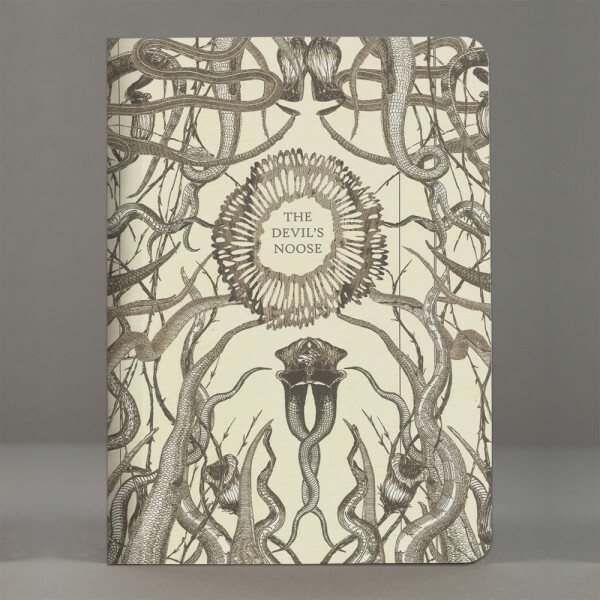 She is the winner of the 2014 Atlantic Press Graphic Literature Prize, and her new book, The Devil’s Noose, will be released by Atlantic Press this Friday the 27th at 64 Killigrew Street. We asked Heidi a few questions about her work and her new book. Tell us a little bit about yourself and your book, The Devil’s Noose. 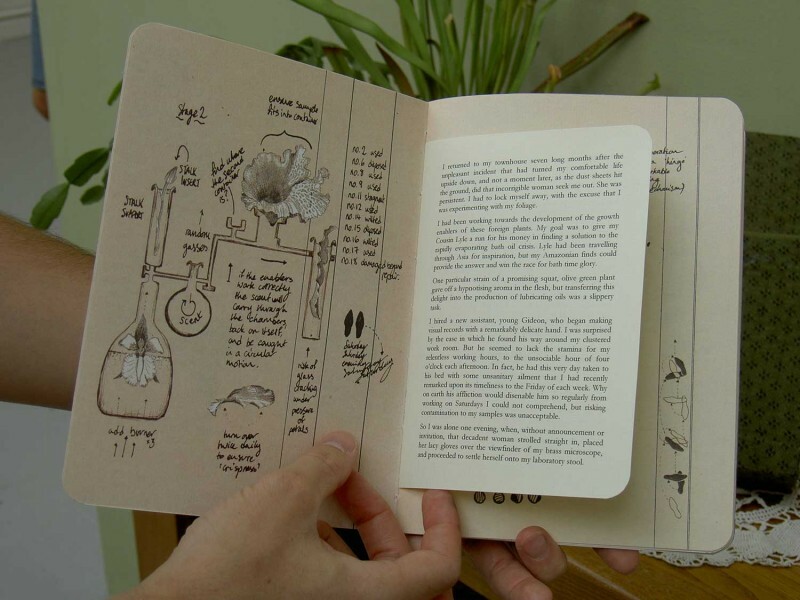 I created this book whilst on the MA Illustration: Authorial Practice course at Falmouth. I began a journey of research and visual storytelling along the theme of the destruction of the world – which was fun. My first project was about animal extinctions caused by human irresponsibility. In my second project, The Devil’s Noose, I thought it should be payback time, so I switched it to the extinction of people due to the actions of nature, and also a little of their own fault too. 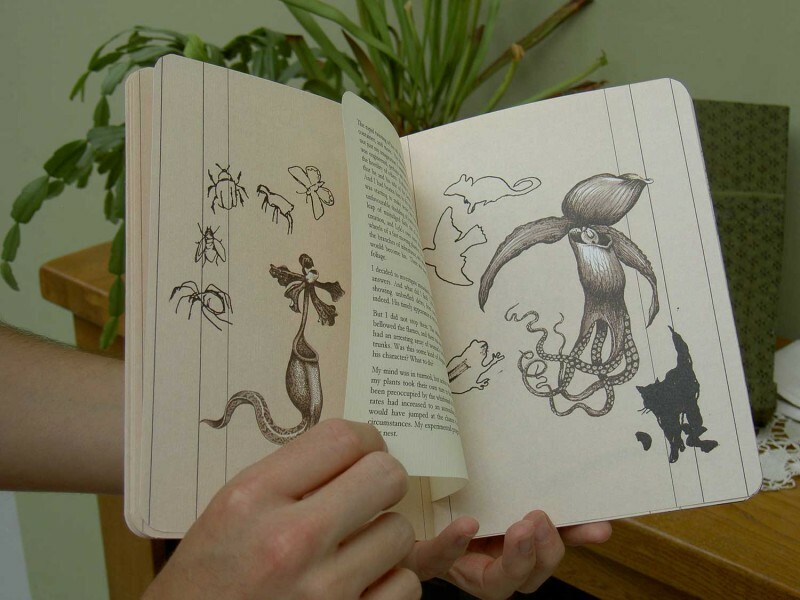 ‘The Devil’s Noose’ is actually the name of a plant, or so it seemed, that I discovered in an old encyclopaedia: a Victorian plant collector in the depths of a jungle came across a carnivorous plant with black tentacles, which attacked and then ate his dog! On further research I discovered that this was completely made up, but what a great story for a professional gentleman to get published in a book of facts. What a naughty man. 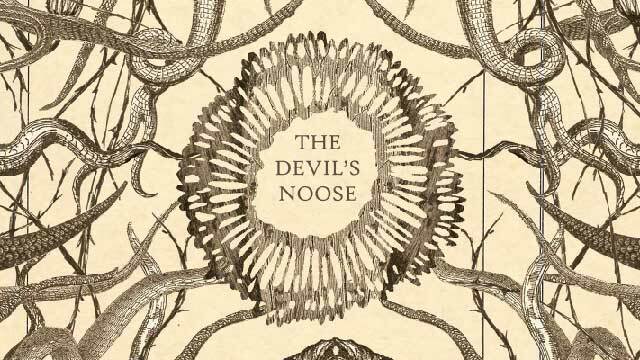 Your new book, The Devil’s Noose, is being launched by Atlantic Press. What was it like to work closely with a small, independent publisher? What were some challenges/benefits, and what did you learn from this experience? I was given great support by the Atlantic Press team and can’t thank them enough. When I handed over the work, they did everything from there. It was lovely to have the time and help for one last edit of the book, to be asked to check proofs and whether I was happy with where the Press’s logos were placed and discussing the type of paper and fonts and such – a really great experience into the preparation of the book before its print run. Your illustration is quite whimsical, but with a definite dark side. Where do you think this combination of humour, imagination, and the slightly sinister comes from? Watching too many horror and science fiction films probably. I love nothing more than a good ‘end of the world’ scenario, and deep down I do seriously worry that zombies will rise up and try and eat our faces, and I’d be rubbish at trying to fight them off, but I think I’d be quite good at hiding so may survive for a few weeks at least. Not sure that’s an appropriate answer. Where do you find imagery and inspiration for your work? I have many source books of imagery that I refer to, but not enough, I definitely need more. I use them as an extension of drawing. I think you can get inspiration from all over the place, we’re totally over loaded with images and information all the time, it’s just finding bits that hit the right nerve and deserve some extra time in seeing where they may take you. Do you use much pencil in your work? What medium are you most comfortable with? I mainly write and sketch out ideas in pencil or pen. I do quite a lot of cutting out of found imagery and playing with how things go together, but generally it all ends up being worked out digitally. I’m starting to do more work with a dip pen, which is a little messier than I’d like, but maybe that’s a good thing. Hi, I have just finishing reading The Devil’s Noose, and I just wanted to say that I really enjoyed it! I felt pulled into the world of Professor Wraithchild and loved the way it was written, and the beautifully detailed illustrations.